Natura Siberica is a brand created in Russia that quickly gained publicity around the world, because it offers vegetable and organic cosmetics granted with ECCOCERT and ICEA. Their products are being manufactured with wild and unique, but at the same time diverse and valuable ingredients of herbs and plants from Siberia. Plants which grew in such extreme conditions and raw climate – consist of unheard of will of survival and their composition surprises with the amount of valuable to human body nourishing substances. On the occasion of entering Danish market and launch of new Natura Siberica shops in Copenhagen, the brand released new line of products for skin and hair care called “Blanche” – white line of cosmetics, which combines untainted purity of Scandinavian nature and untamed power of Siberian plants. It resulted with locked in white bottle cosmetic line, which holds unique ingredients providing spectacular effects on skin and hair. 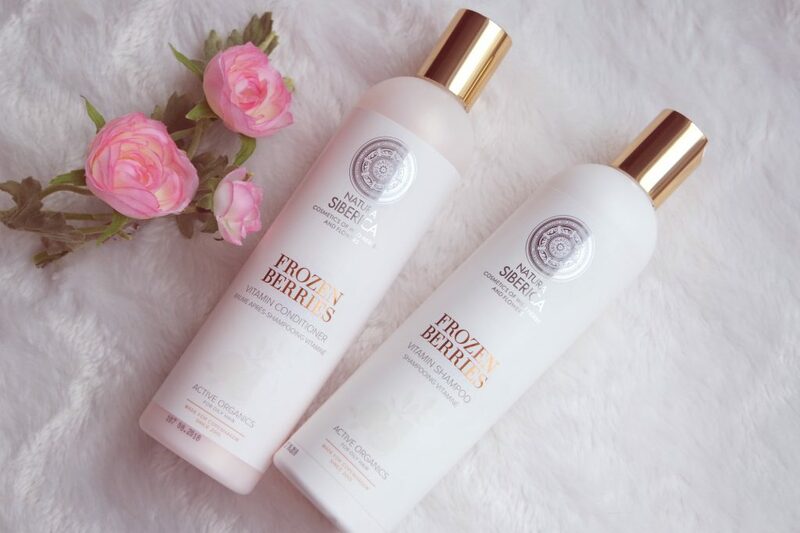 For special attention deserves Frozen Berries Vitamin Line for oily hair, where you can find: shampoo, conditioner and hair mask. The entire line has a stunning scent that lasts on hair long after hair wash. What is more, cosmetics have large volume (shampoo and conditioner contain 400 ml/14.08 oz., and hair mask 200 ml/7.04 oz.). Cloudberry is sometimes called “Scandinavian gold” and consists of unusual amounts of vitamin A, B1, B2, valuable fatty acids and antioxidants. It means that hair will be well moisturised, regenerated (thanks to vitamin A), while vitamin B1 will limit secretion of sebum and hair won’t break (ensured by vitamin B2). Cranberry extract – is rich in organic acids, vitamin E (which protects lipid barrier of epidermis and favourably influences blood supply in skin and regenerates hair), tannins contained in cranberry indicate antioxidant properties. Omega-6 acid is extremely important in cellular processes in all the cells of our body. It is important for proper functioning of the entire organism. Contained in the line, vitamin PP will make sure the largest amounts of these beneficial substances have entered into our hair. If you pay attention to what’s contained in shampoos and you read labels and compositions of cosmetics then you should decide on products from Natura Siberica. Those are products free of harmful chemical compounds, parabens and at the same time they smells amazing: it works like the best aromatherapy and makes your mood better. If you often perform hair oil treatment, those cosmetics will be perfect to rinse oils after treatment, because they do not contain SLS, which can additionally disrupt properties of oils.